Welcome to Deja Vu Collectibles, Inc. 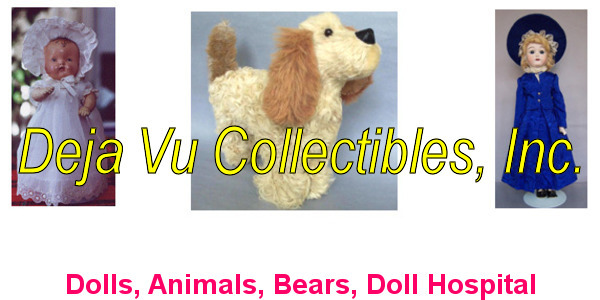 Deja Vu Collectibles--the name says it all. You have seen these things before. There are dolls from your childhood and even from your mother's or grandmother's childhood. You will find Boyds animals, Disney toys and books, Little Golden Books, American Girl dolls, books, and paper dolls. Did you have a Raggedy Ann or Andy? A Holly Hobbie? A Toni doll? They are all here. Also Chatty Cathy, Shirley Temple, Madame Alexander, Ginny, Anne Geddes, Sweet Sue. There is always something new, from My Little Ponies to Rocky the Flying Squirrel. This little store is packed with goodies. Can't find the doll or creature you collect? Contact us with information about what you are looking for and we'll let you know when it is found, or if we already have it in stock. Your childhood baby can most likely be repaired. Give her a new wig or outfit. Custom doll clothes are a specialty. Original outfits can be copied, if desired. Stuffed animals can also be repaired, cleaned, and restored. New stuffing and a good cleaning will do wonders for your bear or dog. To see the "cured" version of the patient shown above, click on About Us, at the left side of this page. 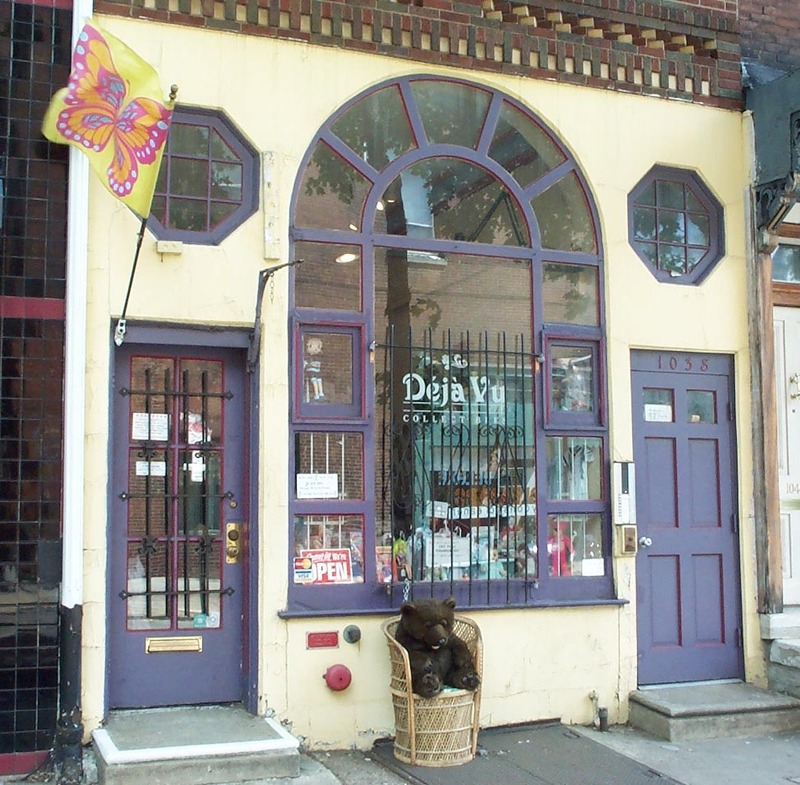 Yes, this on-line store is being run by the same people who had the store on Pine St., in Philadelphia. The store on Pine St. closed in June, 2011. This new website has a shopping cart and postage calculator, so you can conveniently order items from it. The catch is that to enable you to do that, each item has to be photographed and listed on the site. Come back often, because we will be listing new items all the time.